One vital factor which sets our service apart from the vast majority of our competitors is our ability to adapt to whatever systems our clients use. We are able to update the client systems quickly and efficiently and adapt our own systems to their ways of working. Our internal systems create this remarkable flexibility which we have developed with our partners over the last five years, creating a safe, robust and flexible IT based job management solution. Our field engineering team employ the latest technologies which include real time job data communication, real time access to our office systems and manufacturers’ information. All of this leads to a highly efficient and reliable service that enables us and our clients to remain ahead of the competition. 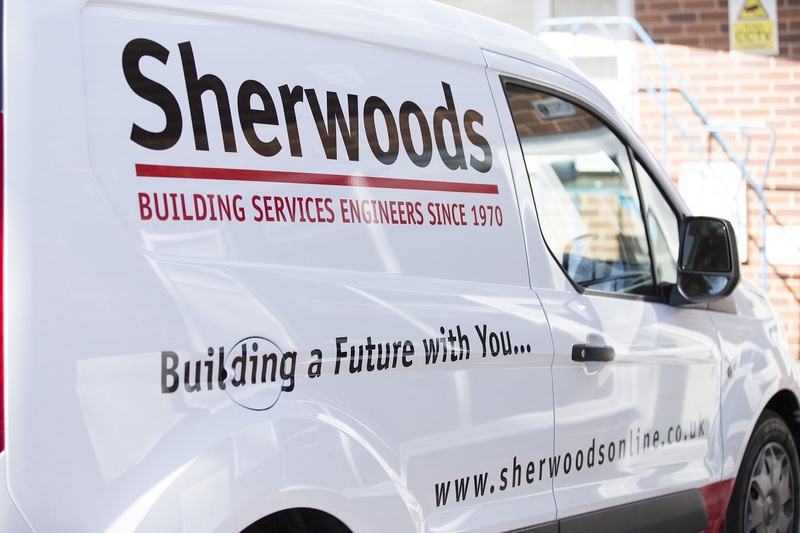 Sherwoods has a 40 year history of top quality service. It is a service we are truly proud of, and we are committed to providing quality and value at all times. When we say that we care about everything, we mean it. Our team follows the ethos of the managing director – of building strong, long term relationships with customers, suppliers and staff. We are therefore able provide a peace of mind and valued service. We provide a comprehensive compliance service for landlords, industrial and commercial premises and public sector organisations. This includes managing health, safety and environmental risks and carrying out tests to gas and electrical systems, appliances, lighting, fire alarms, air conditioning and ventilation systems, water testing and treatment systems and more. We are able to manage everything for our clients and put an enormous effort into simplifying and streamlining the systems, paperwork and administration on their behalf. We take responsibility for logging when tests need to be carried out again, informing clients, and making sure all the necessary paperwork and submissions are completed on time. Our system is designed specifically to help landlords adhere to the growing legislation surrounding inspection and testing. We offer a complete landlord safety and compliance package. We tailor our response times to match the requirements of our clients. Whether you require an engineer based on site or remotely with a one hour response time we are able to provide it. Our targets are set by our clients. What’s more, we deliver what we promise which is to your requirements. We attend on time, and we also make sure we can complete the required work as swiftly and efficiently as possible. Quality is also essential, of course, and we have a range of systems in place to make sure you are happy with the work that has been carried out. This frequently includes visits or calls from our MD in person. Our ISO accreditation proves quality and robust systems are in place. We provide a complete one-stop approach to mechanical and electrical building services through our Planned Preventative Maintenance(PPM) service. This involves Compliance inspections, tests, repairs and replacement of equipment and facilities for our clients in a complete range of sectors, from schools to retail stores. We pride ourselves on providing a proactive PPM service. We offer the facility of managing the administrative burden where required. We will notify you when work needs to be carried out or testing is required. We provide all the necessary paperwork and certificates on time all ensuring smooth functionality and safety of the building and the business operating within it. We are also able to provide real-time information to clients on the work and testing being performed, thanks to the hand-held devices used by our engineers and our systems, which logs all work performed live from site to base to client. We also provide a comprehensive PPM contract package at a fixed cost, which is ideal for organisations that want predictable budgets. The contract covers all maintenance and repair costs, including parts.